Are you looking for a bright burst of citrus to liven up your desserts this winter? 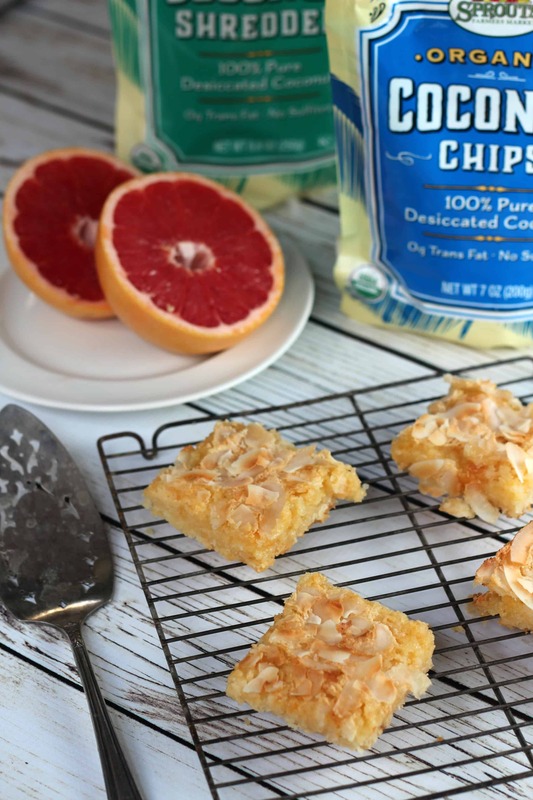 You will find it in these coconut grapefruit squares! 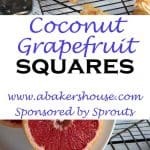 Working with #Sprouts Farmers Market this month, I created this recipe that highlights grapefruit. My local Sprouts offers Wonderful Sweet Scarletts which are a gorgeous variety of red grapefruits grown in Texas. Grapefruits are an excellent source of vitamin C and also contain vitamin A. 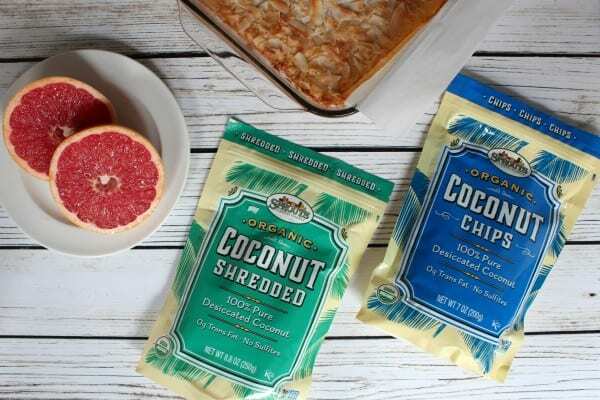 Honestly, eating a grapefruit on its on is a good addition to any meal but if you want to capture that grapefruit flavor in a dessert, these squares are the way to go. 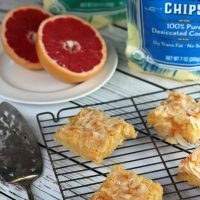 I started with an old recipe my grandmother shared with me long ago for lemon squares and then transformed it with grapefruit and coconut. Shredded coconut blends beautifully in this shortbread crust and the coconut chips layer a welcome crunch on top of the grapefruit filling. Looking for a grapefruit recipe with a twist? Try this grapefruit brulee, a fantastic cross between breakfast and dessert! Shredded coconut blends beautifully in this shortbread crust and the coconut chips layer a welcome crunch on top of the grapefruit filling. Line a 9 by 13 baking dish with parchment paper. Preheat the oven to 350 degrees F.
Make the base: Cream the butter and powdered sugar until fluffy. Add the flour and the shredded coconut; blend well. Spread the base in the prepared baking dish. Press the base evenly to the edges. Bake at 350 degrees F for 20-22 minutes or until the edges are lightly golden. Make the filling: Beat the eggs until light and fluffy. Slowly add the sugar; continue to beat until thick and well blended. Add the zest and juice of the grapefruit, the white flour, and baking powder. Beat until thoroughly mixed. Pour over the baked crust. Scatter the coconut chips over the grapefruit filling. Bake at 350 degrees F for 25-30 minutes or until the filling is set. You’ll know the filling is set when the middle of the filling barely jiggles. The shredded coconut will be lightly browned. Let cool then cut into squares to serve. Mix up your choice of citrus and make these bars with lemon or orange instead. Click through here to find the full recipe on the Sprouts Brand site. Looking for more recipes for dessert bars and dessert squares? 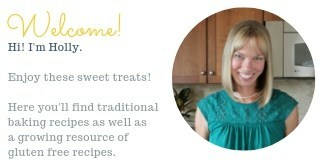 Try Blueberry Squares or Lemon Squares. My thanks to Sprouts for sponsoring this post. I was compensated for the development of this recipe and for the use of Sprouts Brand products. Although I used Wonderful Sweet Scarletts in this recipe, I am not working directly with their company; I purchased their product at Sprouts. All opinions are my own. Holly, I love this combination of grapefruit and coconut. Instead of lemon bars, these are grapefruit bars. Love that idea and I bet the coconut puts them over the top! So great catching up with you!